Is It OK to Crowdfund Your Own Security? Image courtesy of Flickr user Henderson Images and used here under the Creative Commons license. Last week the emergence of three separate crowdfunding campaigns for private security patrols in Oakland’s Lower Rockridge and Uplands neighborhoods provoked a lot of debate and criticism. For some people, it was a clear example of crowdfunding crossing a line. Not a line of good taste or judicial process as we’ve seen before, but the line of public goods — the things we feel government has a duty to provide to all its citizens, not just those who can pay for them. "The new dynamic that crowdfunding introduces gives us some indication of the consequences of it becoming a bigger movement — for those who can afford it, and those who can’t." Safety and security is probably the most fundamental service people have the right to expect their government to provide. For the Oakland residents who started the three campaigns, the government had failed in its duty — and they were filling the gap with their own money. They’re not the first neighborhoods in the city to do so, and they’re part of a growing trend, but they were the first to crowdfund. So what is it about crowdfunding private security that feels so uncomfortable? One conclusion you might draw is that a public call is a more brazen, obvious attack on the inadequacy of the police and an attempt to shame public services — whereas a private collection of funds between neighbors would be somehow more respectful and less damaging to the institution. But what about a police captain’s comment that “any time the community gets involved in a public security strategy, that’s a good thing“? This remark reads as if (some elements of) the police force are not seeing the growth of private security as a slight, and may even view the crowdfunding campaigns as an opportunity to draw attention to their lack of funding. The captain’s comment is of course very problematic in its own way, but it discredits the idea that the neighborhood took to crowdfunding as a deliberate attack on the police. A second conclusion or fear you might consider is that an open crowdfunding call invites donations from outside organizations, increases the chances of lobbying for private security, and undermines the idea that this is autonomous decision-making by a neighborhood. It’s worth noting that all three campaigns use the same Oakland-based security group, VMA, which says it will be patrolling 500 households by November, but this looks on the face of it to be a function of the second and third campaigns using the first campaign as template (more on that in a moment) rather than any direct lobbying. There’s also little evidence as yet of influence outside Oakland itself: Paul Liu’s campaign asks for $82 donations from each household (the price of a trial period with VMA security), rather than an open call for any amount. That’s a clear signal that the campaigns are not expecting outside funding. Liu’s advice to residents of other neighborhoods who are considering donating to his campaign is that they start their own. And here’s the crux of the concern about these campaigns: the contagion effect. The emergence of Liu’s campaign led, within the space of three days, to the creation of two other campaigns in adjacent neighborhoods. Those campaigns used the same platform (Crowdtilt) and borrowed most of the language of the first. The second campaign has already outstripped the first and raised its target amount; the three campaigns have so far raised a combined $45,000 and will provide private security in two of the neighborhoods through February. 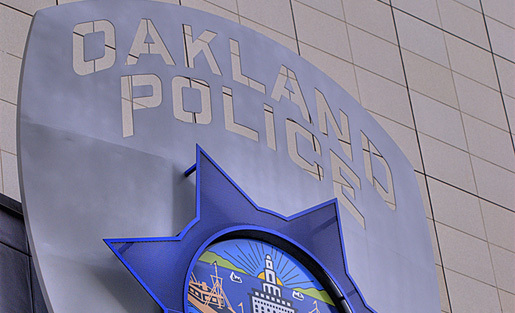 Let’s be clear: The spread of security patrols itself has had a contagion effect in Oakland. What crowdfunding does is to significantly increase the velocity and visibility of that contagion. We already know that crowdfunding can be used to fund things we might find distasteful or even harmful. But those products or groups will likely have a much shorter lifespan than the consequences of faster, deeper erosion of faith in institutions such as the police force. One Rockridge resident suggests that private security has become so common that many residents have effectively given up on the idea of a functioning police force. That is a terrible precedent. Of course, it’s difficult to imagine a scenario in which crowdfunding private security would not be perfectly legal: As long as private security is allowed on the streets by law, there’s nothing to prevent neighborhoods using crowdfunding to pay for it. But the new dynamic that crowdfunding introduces gives us some indication of the consequences of it becoming a bigger movement — for those who can afford it, and those who can’t. As MIT’s Ethan Zuckerman points out, what seems like a solution for one community has a knock-on effect for many others. I’ve made the point before that alternative infrastructures like crowdfunding can have a constructive, lobbying effect on their incumbents by signaling the need for change — but the wealthiest neighborhoods in a city finding easier, more scalable ways to top up deficient public services does not seem to resemble that kind of change. An inherent weakness of crowdfunding applied to the civic space is the attractiveness of certain ideas over others, and its potential to widen the gap between winners and losers — an issue I talked about with Seattle’s NPR affiliate KUOW recently. To be sure, we can see this problem replicated in many kinds of competitive funding for civic projects. But as cities see more crowdfunding campaigns realizing the kind of projects they would like to encourage, they also need to be aware of the potential for much tougher questions about the services they are struggling to provide. I’ll be returning to the question of how we figure out how to balance those two competing priorities soon. This post originally appeared on the MIT Center for Civic Media blog and rodrigodavies.com. Rodrigo Davies is a Research Assistant at MIT’s Center for Civic Media and an MS student in the Comparative Media Studies program. His research interests include the impact of social media on political discourse, crowdsourcing and political participation, ICT4D and user-led service design. Rodrigo works with the crisis mapping initiative Standby Task Force and is a policy advisor to the UK-based civic crowdfunding platform Spacehive. Before joining the Center Rodrigo was based Mumbai where he was a co-founding editor of Conde Nast India’s digital editorial business. Previously he was a journalist at the BBC and Bloomberg News. He holds a B.A. in History and Politics from Oxford University.